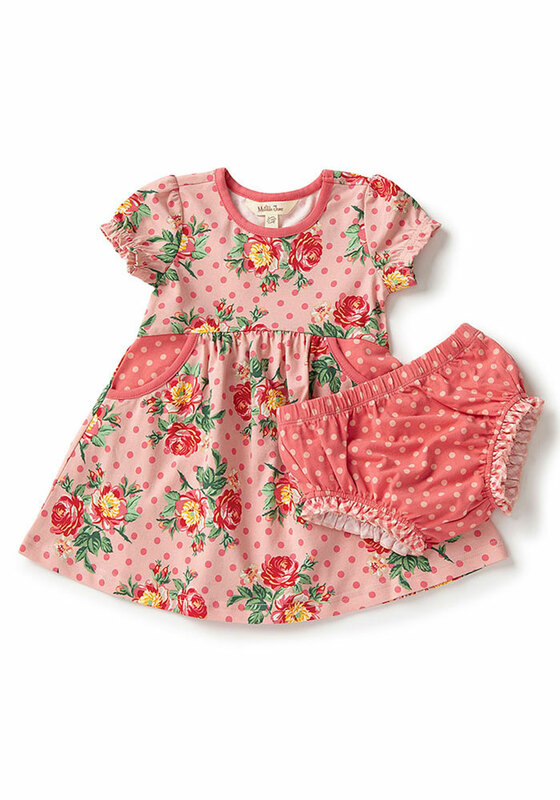 We love sister-matches, and this dress is an exact match to big sister’s Pretty in Pink Dress. 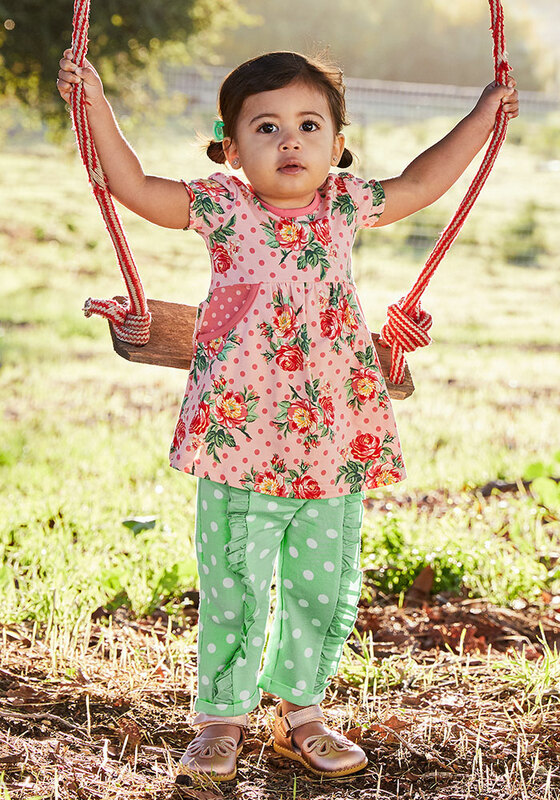 We love the fresh florals and adorable polka dots. 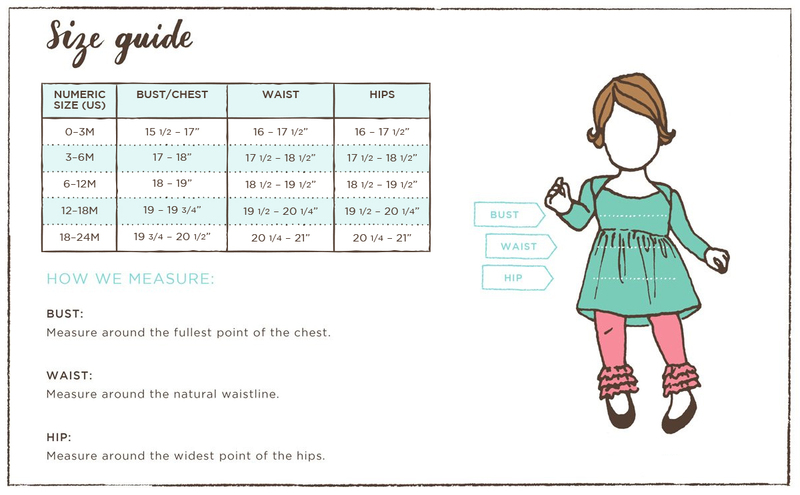 This outfit includes a matching diaper cover.